If you wish to be part of the success driving the gaming technologies ahead in one of the substantial markets for the industry – join the Balkan Entertainment & Gaming Expo (BEGE Expo) and the Eastern European Gaming Summit (EEGS). 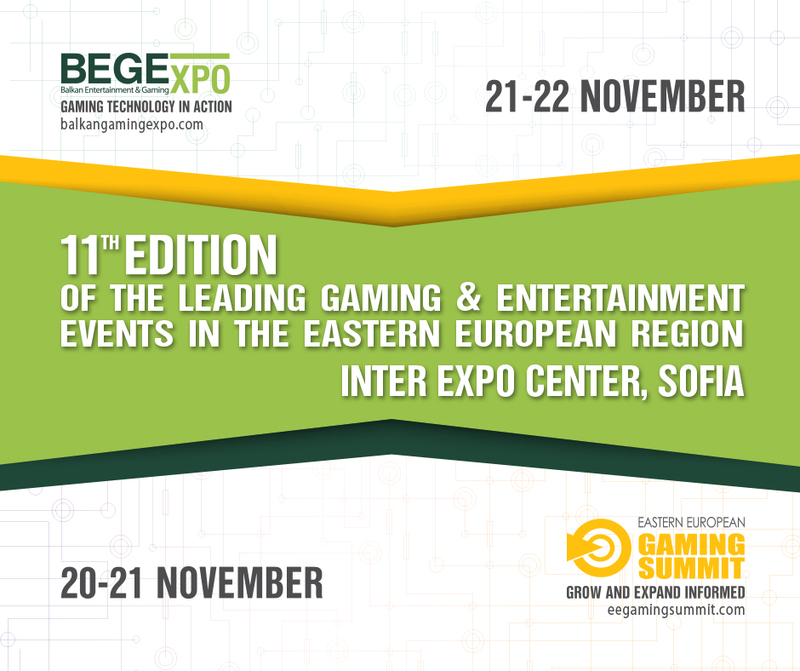 BEGE Expo is the meeting point for the gaming and entertainment industry in the Eastern European region. The representatives include manufacturers and suppliers, landbased and online operating, affiliates, payment service providers, media and associations. The exhibition has proved as the leading for the region, gathering over 5000 visitors from 35 countries in the last edition. In 2018 BEGE Expo will present three halls, Startup zone, Innovation zone, as well as rich agenda of accompanying events, among them being Miss Gaming BEGE, BEGE Awards ceremony and the contest for startup companies Gaming Startup Challenge. EEGS is the right place for everyone looking to enhance their competence and get updates on the emerging Eastern European opportunities and challenges. The conference gathers 200+ industry representatives from 22 countries, helping them gain in-depth knowledge about hot updates and legal cases from the gaming industry. Among the topics that EEGS covers are implementation of new technologies (VR & AR), application of Blockchain technology in online gaming, the potential of AI. This November the event will come with updated format, new interactive discussions, round tables and better networking opportunities. We are looking forward to meeting you on 20-22 November 2018 at Inter Expo center, Sofia.